Across the globe, public transport is emerging as a prerequisite for sustainable development. Traveler needs go beyond the geographical areas managed by different authorities and require various networks and modes of transport, including cars, cycling and walking. Faced with these challenges, setec is building on its multi-specialist expertise to offer integrated solutions. setec helps mobility organizations plan upgrades to their networks in the short and long terms, seeking solutions that optimize every mode of transport. 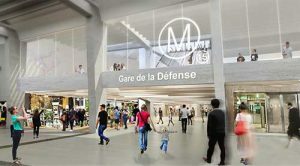 A combination of technical expertise and a generalist approach to urban transport enables us to support clients in designing urban transport lines and networks and in studying project opportunities and feasibility. Acting as a contractor assistant, assistant project manager, project designer or independent consultant, setec carries out urban transport projects from the design stage to service launch. Working in partnership with architects and urban planners, setec serves public and private project owners, developers and builders on all types of operations, including building design, public-private partnerships and concessions. setec’s expertise covers every area of urban transport: rail lines, overhead lines and wires, high voltage and traction systems, signaling and driverless operations, low-voltage systems, operations and safety, infrastructure and networks, environmental aspects, etc. Thanks to our intimate knowledge of regulation and experience in submitting regulatory applications, we effectively manage all the procedures involved in building urban transportation networks, especially rail-based transit systems. setec’s work in urban transport fits its overall vision of mobility, with an approach to user services and operations that builds on its expertise in construction. Urban transit projects are seen as a link in a wider chain that includes interurban transport, roads and hubs. Urban integration, operations and urban transport systems: bus, trams, underground systems, cable cars, road traffic management, cycling and other “soft” modes, ride sharing, etc. 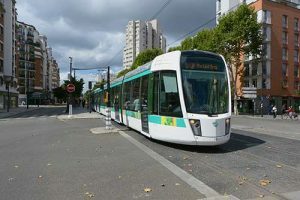 Since the early 2000s, setec has been one of the lead experts in the development of a tram network in the Greater Paris region. Working as a design engineer for both new lines (T6, T7 and T9) and extensions to existing lines (T2 and T2), setec has developed a strong track record in managing demanding projects on complex terrain. setec supplied integrated engineering for France’s first-ever fully automated urban cable transit system.